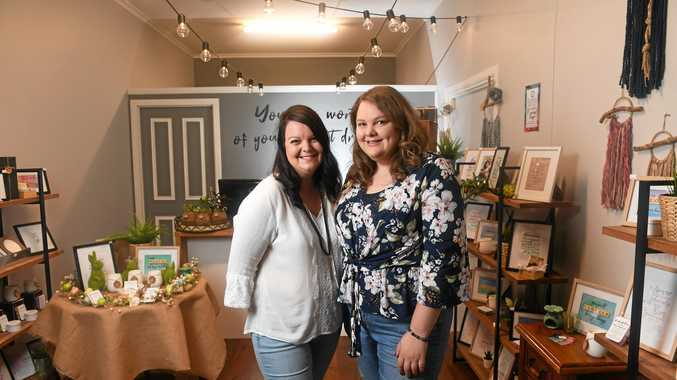 AS soon as they found an available space to set up shop in the Old Flour Mill, sisters Alicia Coop and Narelle Thorburn knew it was the place for them. The pair have opened up gift shop Embers & Twine in the heritage-listed building in the Top of Town. Most of what lines the shelves has been handmade by the two, with other items coming from similar local, small business owners. The sisters used to sell their wares at markets but decided to take the plunge and open their first shop-front together. Narelle works full-time at a bank after many years in retail, meaning Alicia tends to be the friendly face at the counter most days. "It's really quirky down here so it sort of suited us," Alicia said. "It's not a typical shopping area down there. It's a little bit different. "We're trying to showcase some handmade local products. It's kind of like a scene from Harry Potter and that suits us. The top end of town just seems to be a little more lively." 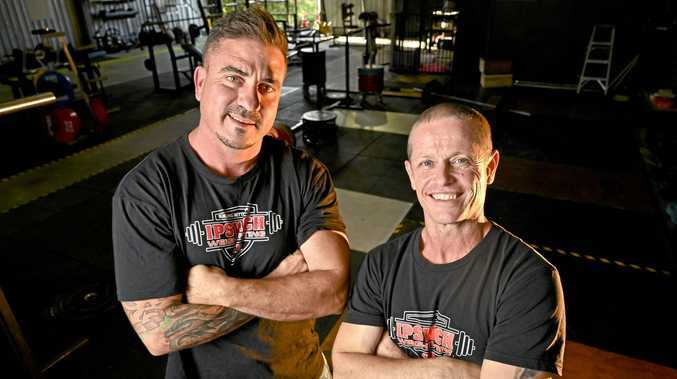 There has been plenty of doom and gloom surrounding business in the Ipswich CBD, with a downturn in trade due to the redevelopment of the mall, but the pair preferred to look on the bright side of things. "I think if you have a look around our shop, you can see we're very positive minded people," Alicia said. "We came and saw potential, we didn't see the doom and gloom. "We thought about what was about to happen, rather than (seeing it) as going down." Work on a $1.5 million facelift for the beautiful old building began in November and despite an expected completion date of March, it is still ongoing. The sisters believe people are unaware the several businesses on the bottom floor of the flour mill are still trading. They handed out brochures to about 30 surrounding businesses and found only two people they encountered knew the shops were still operating during the construction. Alicia said it was a shame the precinct was not at the fore. "We've been trying to get it out there," she said.